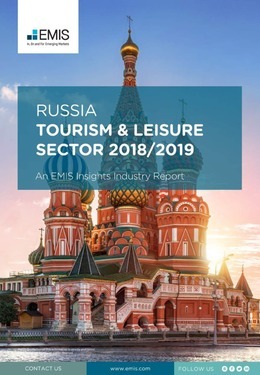 Despite the country’s vast territory, favourable geographic position and wide range of potential tourist attractions, Russia’s tourism and leisure sector remains underdeveloped. The direct contribution of travel and tourism to the country’s GDP in 2017 was just 1.2%, the same as the share of the sector’s direct employment in the total workforce. Russia scores low in global rankings, taking a mere 0.9% of the global tourism receipts in 2016. Tourist arrivals fell for the second year running in 2017, as increased tension with the West, and in particular with the EU, reduced visa availability for many EU travellers. The hosting of the 2018 FIFA World Cup, however, will have provided a boost to the sector, pushing foreign tourist visits up for the first time in three years. This report provides a complete and detailed analysis of the tourism sector for Russia. EMIS Insights presents in-depth business intelligence in a standard format across countries and regions, providing a balanced mix between analysis and data.